Best tell the child and his parents that calling him a “little monkey” is racist, moreover accusing him of “monkeying around” or being a “cheeky monkey”. Maybe they only saw ‘the boy’? Maybe you have to be obsessed with race to spot the offence? Maybe we pick our prejudices, and being shocked and dismayed by a black boy in a top is more upsetting than Labour’s problem with anti-Semitism? Explicit racism is obvious. 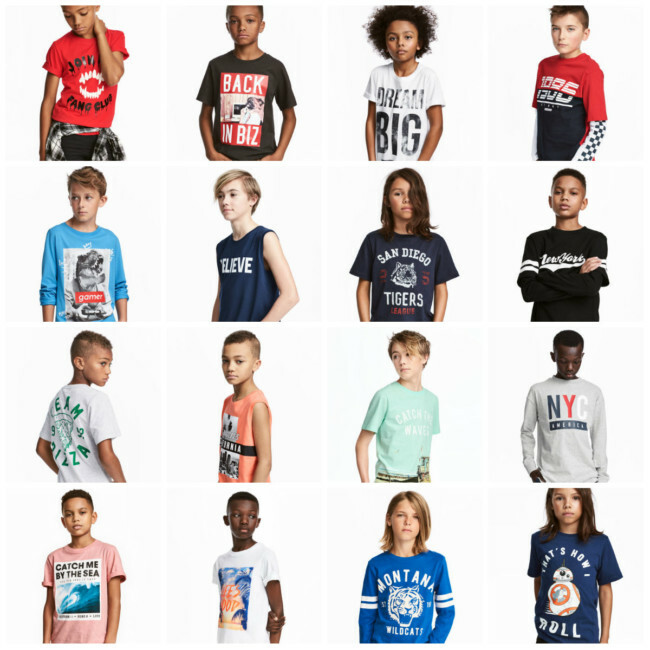 Was the child model paid less than the others? The implicit stuff is tricky. How do you go about defending yourself against accusations that your subconscious opinions are wrong? Is the safest option to accuse others of racism first and in their apologies and entrails find evidence of your own clean mind? 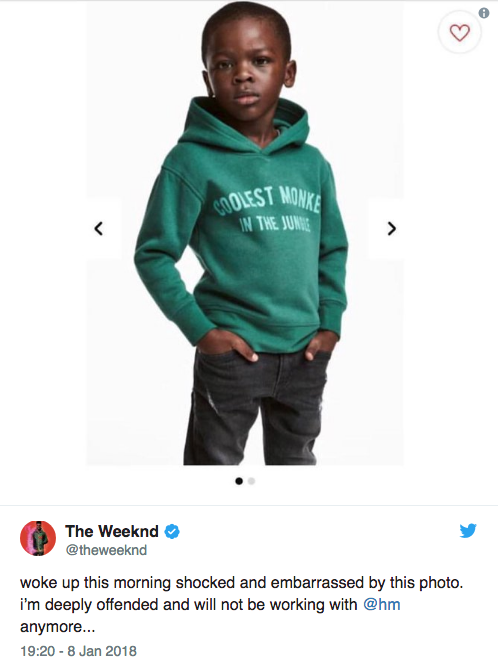 One Indy writer opines: “Their intention was clearly not to cause offence; it just obviously didn’t enter their minds to think seriously about their black customers.” So what’s the point of featuring black models – to appeal to non-black customers who don’t mind a bit of racism, or maybe even enjoy it? Well, yeah. A HuffPost writer calls it a “blatantly racist advertising campaign”. Klan members form an orderly queue.